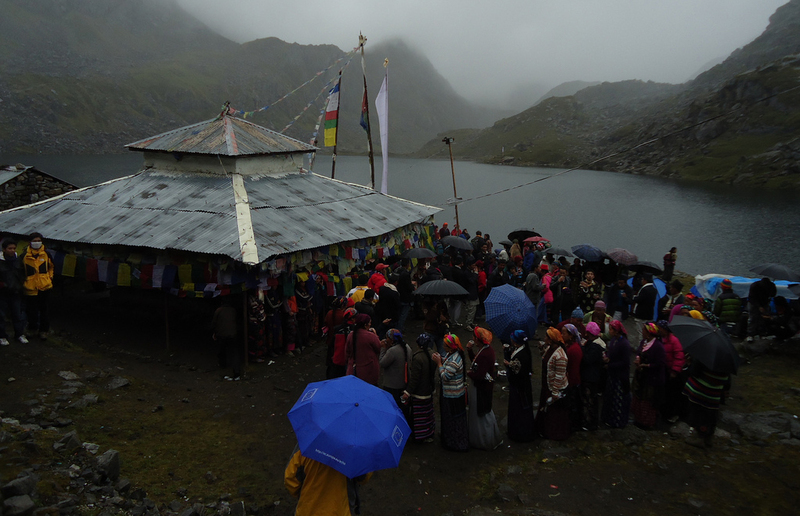 Gosaikunda festival trekking as the abode of Hindu deities Lord Shiva and Goddess Gauri. The Hindu scriptures Bhagavata Purana and Vishnu Purana, and the Hindu epics Ramayana and Mahabharata refer to Samudra manthan, which is directly related to the origin of Gosaikunda. Its holy waters are considered of particular significance during Gangadashahara and the sacred thread festival Janai Purnima when thousands of pilgrims from Nepal and India visit the area. Gosaikunda is believed to have formed from the digging of the land by the Trishul (holy Trident) of lord Shiva. August 05th 2018 / Day 1 Arrival at Tribhuvan International Airport (TIA) Kathmandu. August 05th 2018 / Day 1 Arrival at Tribhuvan International Airport (TIA) Kathmandu. Welcome with bunch of flower assistance at the Airport and meet with our staff (One of our company staff will be waiting you at the Airport with display your name ".................." which is print on our company white board and pick up by our private car and than 20 minutes drive to the Hotel. After few minutes rest in hotel, Visit in our office and have hot/cold drinks (Tea/Coffee) waiting to serve and have join together, One of our staff will brief you regarding the trip and introduction with your trekking guide. O/N at hotel. - Langtang National Park entry permits fees. - Fully escorted trek with an English speaking license holder local sherpa trekking guide and a porter for each 2 persons.